Disposition: weepy meltdown when I wouldn't let him play with my iPhone. Easily distracted by tickles and kisses. Demanding, yelling at me when he doesn't get his way. Bad day at school. He spit, elbow jabbed other kids, and called out "stupid music" during music. Sigh. Refused to put his car seat on afterwards. Spent another $260 at Kroger (sheesh) but I think I finally have enough food to last a while. Envirokids PB cereal was on sale and it is the only new kind that Shep likes so I bought lots, also lots of their granola bars to keep on hand to prevent the Great Snack Meltdown of yesterday from occurring again. We went to the playground after school. He hit a little boy, then refused to go to time out, then called the park stupid, so I made him come to the car with me. He had a complete screaming crying meltdown. This isn't normal for him - he's not usually a tantrum thrower. I rarely see tears from him, and there were many tears today. Making ground turkey tacos with Fritos, avocados, lettuce, cheese, Horizon organic sour cream for dinner. Gonna be hard to not have salsa....I think it might even be illegal in Texas to have tacos without salsa...but tomatoes are banned in stage 1. I bought Jennie O's ground turkey, which is not approved, but it is all I can find. The 'natural flavorings' are not specifically listed, so I emailed them to ask what they are. 'Natural flavorings' is often (usually?) code for MSG. Just realized that Ike can't have chili peppers - so he is getting cereal and bananas for dinner. Yea, we can have salsa! Our son does a complete turn in behavior. He becomes defiant, violent (hitting, kicking, spitting,) cannot concentrate on an activity and extreme mood swings...from crying to laughing w/in a minute of each other. Punishment doesn't phase him. He'd sit in time-out all day and cry but as soon as he was out of time out it's back to the irrational behaviors then back in time-out...a vicious circle. But you have also cut out gluten. Is there a chance that both are responsible for your kids' issues? I have been reading your blog for some time and I'm very interested to see how this all plays out for your family. I have a 13 year old son who has Asperger Syndrome (very high functioning) on the autism spectrum. He displayed many of the behaviors you have described so I hopped on over to the Feingold link you had listed to check it out. We have tried every parenting strategy under heaven, neuro/biofeedback, therapy dog (didn't actually work out...I think she is more therapy for the rest of the family, but that's another story.) He is also pleasant one on one. We have tried different meds, no meds, and keep returning to the same two. I will try things for awhile, expend lots of money, and then give it a break. Then, we will gear up and try something else. I went to a Karen Purvis (adoption conference) and I found her materials more helpful for my bio. child than my adoptive one (b/c my adoptive one doesn't have these issues). Her parenting videos are fantastic and let me tell you....the kids in them will do what you are describing...It was actually refreshing for me to watch someone else handle it and give me an alternative instead of feeling like a failure with traditional strategies. We have been taking our son to a nutritionist for about 9 weeks. Sometimes, we make great gains...other times not so much....maybe I'll look into Feingold more seriously. Our nutritionist wants us to remove all grains and as many starches as possible...uh...that's our whole meal list. This is very time consuming and expensive. I hear ya on that one. ok....I am typing a novel now. Hang in there. I guess I just want to encourage you that you are NOT alone in this journey. Jana - I am hoping and praying it is not a gluten allergy. I have not completely cut it out - I want to see if this works first. I am feeding him less tho. Actually I didn't even realize that Rudi's was gluten free! But I'm sure Saltines aren't. Melanie - gut issues and autism seem to go hand in hand (i'll reserve writing a novel on my theories about why that is!!) I LOVE Karyn Purvis and agree that her strategies work for all kids. I really need to refresh my Karyn skills for dealing with Ike - thanks for the reminder. You have made me curious. I normally follow your regular blog. We have a 6 year old son. He has been diagnosed with low muscle tone, he used to be on the spectrum for Autism, though by the time he was 4 his OT told us he was off. 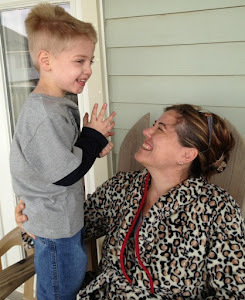 He had very slow language development, has had absence seizures, attention issues and difficulty following directions. Our biggest concern however at this time is that he is consistently having daytime accidents both/bladder and bowel. Not only does he have accidents, but he is completely ok with staying in his soiled pants, even in front of his first grade classmates. No matter what encouragement/consequences we give him he just does not care. He is a kind and intelligent young boy. He learns very easily, but he just has this completely inappropriate behaviors. I checked out the Feingold site and I am so tempted, but my husband is a minister and the cost of the material is more than our budget could handle. Would you happen to know if there are other material/sites available? From what I understand, the organization gives scholarships to whoever needs them - definitely go to the website and ask!